Side blind spots can make lane changing difficult and dangerous, this is especially true with larger vehicles. You never know when a motorcycle, smaller car, or even a pedestrian could be lurking in your blind spot. 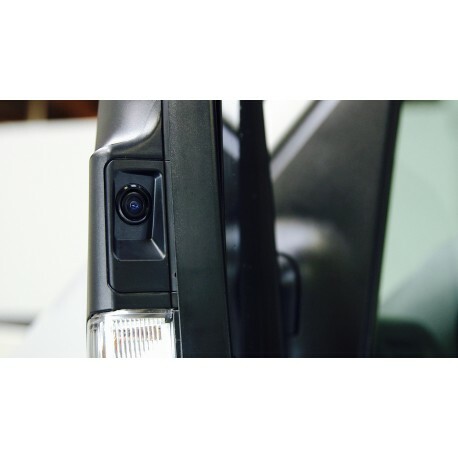 EchoMaster has camera and sensor solutions to eliminate those blind spots, simplifying your driving experience. Fully integrated into your vehicle, your system will be triggered on when you use your turn signals, visual or audible alerts will let you know if you are clear to turn or change lanes. 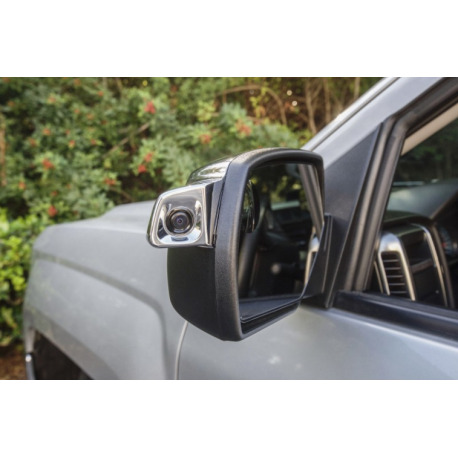 The PCAM-BS1 side blind spot cameras mount easily under your side view mirrors. A more narrow viewing angle than a typical backup or front camera, it is designed specifically for the blind spot. Allowing your eye to quickly and easily evaluate any potential danger. 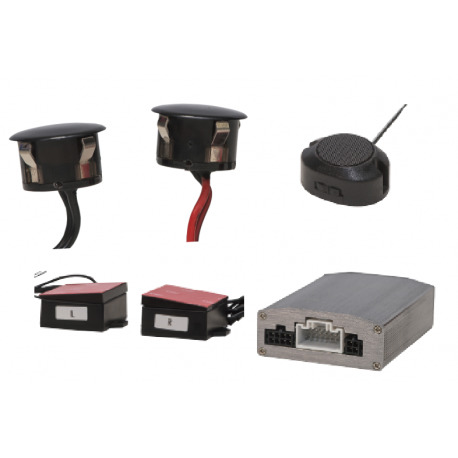 Our vehicle-specific kits include the video integration technology needed to integrate the image into your vehicle's radio, and turn on when you use your turn signals. 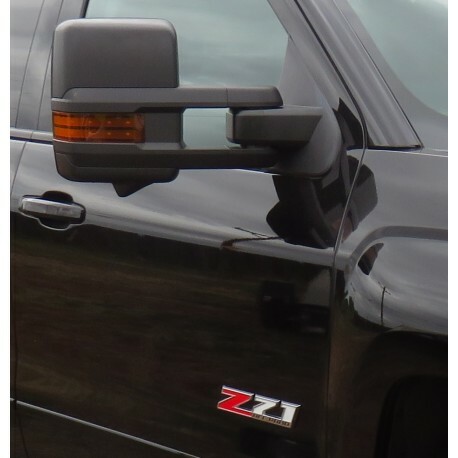 Our custom-fit line of side blind spot cameras are designed for specific vehicles. 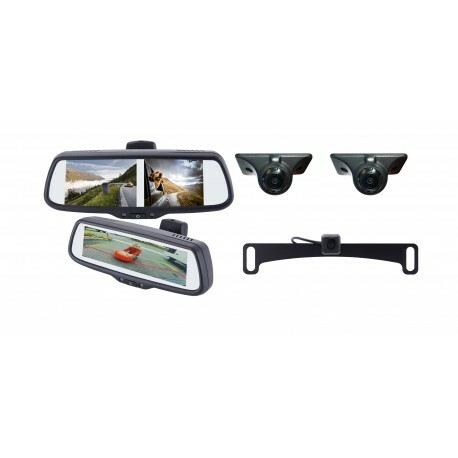 The kits include side mirror caps with integrated cameras. 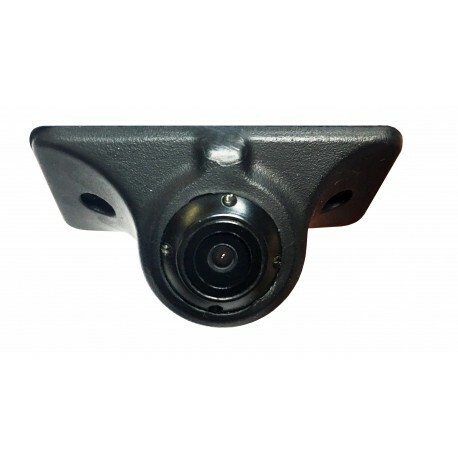 These cameras retain an OEM look and feel, and simplify installation as the cameras are already perfectly angled for that particular vehicle. Our General Motors solution includes a custom GUI that displays on the vehicle's radio, allowing the driver to manually activate the cameras, in a addition to the auto-activation based on driver behavior. Using microwave sensors, our side blind spot system alerts you to vehicles coming up on your blind spot. A LED indicator mounted into the "A" pillar gives drivers a visual alert, along with an audible warning.